With seating for up to seven and a versatile layout, the 2014 Audi Q7 courts large families. And what makes it a market standout is that its infused with luxury in a way that few other three-row vehicles are. Provided you don't need to much off-road ability, it's a nice, road-focused utility vehicle for the family, with a luxurious interior, lots of useful interior technologies, and impressive performance--including reasonably good towing capability. Just don't count on all that much off-road ruggedness. While the related Volkswagen Touareg and Porsche Cayenne do hold their own off-pavement, the Q7 doesn't do quite as well with its longer wheelbase and road-oriented all-wheel drive. On the other hand, that extra wheelbase improves ride quality and composure while maintaining (most of) the relative nimbleness for a large SUV. And the all-wheel drive system aids on-the-road stability and traction--the kind you need when negotiating snowy driveways, or slick highways. There's a lot of curb appeal in the Q7, and part of the reason is that it looks attractive and elegant without all the faux-Safari styling cues. The Q7 looks adult and sophisticated on the outside, without being stodgy, and crisp sheetmetal with smooth, taut surfaces combine well with one of the best sets of proportion in this class of vehicle. With rich leather, suede, and wood, the Q7 cabin is one of the best in this class--even considering the top luxury offerings--and it's both warm and refined. Climate and audio controls are a bit busier than they are in Audi's other models, but overall there's a sleek, clean look to the controls. 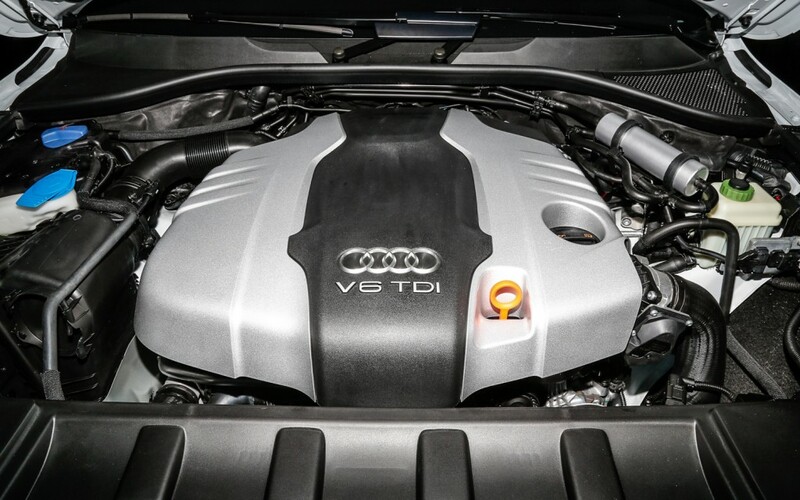 The V-8 engine that the Q7 used to have is long gone, but the engines replacing it are no letdown for performance. And on the flip side they're far more fuel-efficient. There are essentially three different power levels (and three trims): 3.0T models get a 280-horsepower, 3.0-liter supercharged V-6; then TDI models get a 3.0-liter turbo-diesel V-6; and at the top of the performance ladder is the S-Line, with its higher-output, 333-hp version of the 3.0-liter supercharged V-6. Of those, the TDI is our pick, as it returns a solid 19/28 mpg city/highway and is just as quick as the base engine (0-60 in 7.7 seconds). It's fun to drive, and just like the entire Q7 lineup, includes Audi's quattro all-wheel drive. Tow ratings up to 6,600 pounds are available with the right equipment, making it easy to tow the boat or jet skis to the lake. You'll find that the cabin is more than warm and inviting; it lives up to first impressions and is extremely comfortable, with supportive front seats that are well-suited to longer-legged drivers. There's plenty of thigh support and just the right of lateral support to hold you in place on backroads and freeway ramps. In the second row, adults will also be happy, and a large panoramic sunroof helps brighten it, keeping the rear quarters from feeling at all claustrophobic. It's different in the third row, where smaller seats, as well as a bit less legroom and headroom (and tougher entry and exit) conspire to make this a kids-only zone. Cargo versatility is great, though, with the second and third rows folding easily down to open up 88 cubic feet of cargo space—easily accessed via a power tailgate. Our only disappointments here are that the cargo floor is relatively high, and total cargo space isn't quite on par with expectations—if you've cross-shopped some other vehicles that are as big as the Q7 on the outside. The 2014 Audi Q7 is a stoutly constructed utility vehicle with a reputation for safety and an extensive list of security extras and useful driver aids. The rather long list of advanced safety options include a lane-departure warning system, and a blind-spot warning system. We've found that the thick roof pillars can limit the view when parking, but overall visibility is quite good. This year Audi has added its 'xenon plus' headlamps to all Q7 models, as well as LED running lamps, and it says that the combination improved visibility. You won't mistake the Q7 for anything but a luxury vehicle in its base trim; but if you're willing to pay a little more you can give this SUV a more high-end feature set that includes things like Bang & Olufsen audio system--complete with tweeters rising magically from the dash on startup. Also worth the premium is Audi's internet-connected MMI interface with navigation. With it, there's wifi hotspot capability, Google Earth maps, and a well-integrated point-of-interest interface. The look of the 2014 Audi Q7 is understated and sleek, particularly for a full-size crossover. For some, the big grille will spoil the look, echoing the chrome-heavy decorations of some American full-size SUVs, but for others, it gives the low-key Q7 some character. The Q7 looks adult and sophisticated on the outside, without being stodgy, and crisp sheetmetal with smooth, taut surfaces combine well with one of the best sets of proportion in this class of vehicle. Whichever side you're on regarding the grille, the rest of the Q7 is well-proportioned and tastefully sculpted, however. The silhouette is long and low, especially by comparison to some competing luxury crossovers, and the details at the front and rear are modern and high-tech looking. For 2014, the Q7 gets three new exterior colors, as well as new 19-inch wheels with full paint finish and chrome accents. A 20-inch package is newly available for Premium plus models; and on the top S-line model you get special 21-inch wheels, along with a special gloss black grille, matte black window surround, and black roofrails. With rich leather, suede, and wood, the Q7 cabin is one of the best in this class--even considering the top luxury offerings--and it's both warm and refined. Climate and audio controls are a bit busier than they are in Audi's other models, but overall there's a sleek, clean look to the controls. Color, texture, and materials quality are all top-notch, with plenty of available customization options. The 2014 Q7 is offered in three different flavors--each with a different engine and somewhat different performance credentials. All three share quattro all-wheel drive and an eight-speed automatic transmission, give the buyer a range of choice. There are no letdowns for performance, no matter which engine you opt for. The 3.0T models get a 280-horsepower, 3.0-liter supercharged V-6; then TDI models get a 3.0-liter turbo-diesel V-6; and at the top of the performance ladder is the S-Line, with its higher-output, 333-hp version of the 3.0-liter supercharged V-6. Of those, the TDI is our pick, as it returns a solid 19/28 mpg city/highway and is just as quick as the base engine (0-60 in 7.7 seconds). It's fun to drive, and just like the entire Q7 lineup, includes Audi's quattro all-wheel drive. Tow ratings up to 6,600 pounds are available with the right equipment, making it easy to tow the boat or jet skis to the lake. Upgrading to the 333-hp S line version offers improved performance, along with some upgraded equipment and appearance extras. Audi says the S line Q7 is good for a 6.9-second 0-60 mph run. Whichever engine you choose, the Audi Q7 is surprisingly nimble for its size, driving more like a car than an SUV. Standard quattro all-wheel drive gives the Q7 good all-weather capability and dependabletraction in general. The power steering is well-weighted and confident, with better feedback than you'll find in some sedans. The 2014 Audi Q7 lives fully up to expectations inside--and more. Nearly equivalent to a full-size SUV in its exterior dimensions, the two- or three-row Audi Q7 offers luxurious accommodations with ample room for adults in the first two rows, plus extra seating for kids in the third--but it can be pricey depending on the options configured. The cabin is more than warm and inviting; and it's extremely comfortable, with supportive front seats that are well-suited to longer-legged drivers. There's plenty of thigh support and just the right of lateral support to hold you in place on backroads and freeway ramps. In the second row, adults will also be happy, and a large panoramic sunroof helps brighten it, keeping the rear quarters from feeling at all claustrophobic. It's a different story in the third row, where smaller seats, as well as a bit less legroom and headroom (and tougher entry and exit) conspire to make this a kids-only zone. Cargo versatility is great, though, with the second and third rows folding easily down to open up 88 cubic feet of cargo space—easily accessed via a power tailgate. Our only disappointments here are that the cargo floor is relatively high, and total cargo space isn't quite on par with expectations—if you've cross-shopped some other vehicles that are as big as the Q7 on the outside. While you might not rate handling as a top consideration for a full-size SUV, the seven-passenger/three-row Q7 is very capable. A firm but comfortable ride comes from a four-wheel independent suspension and careful tuning, plus an air ride system that allows the driver to dial in sport, comfort, and automatic modes to suit the conditions. The 2014 Audi Q7 is a stoutly constructed utility vehicle with a reputation for safety and an extensive list of security extras and useful driver aids. Standard safety equipment on all Q7 models includes: dual front, side and side curtain airbags; anti-lock brakes; and stability and traction control. And rear-seat side airbags are an option that's not often found in the U.S. This year Audi has added its 'xenon plus' headlamps to all Q7 models, as well as LED running lamps, and it says that the combination improved visibility. The rather long list of advanced safety options include a lane-departure warning system, and a blind-spot warning system. We've found that the thick roof pillars can limit the view when parking, but overall visibility is quite good. in Insurance Institute for Highway Safety (IIHS) testing, the Q7 has earned top 'Good' ratings for frontal and side tests, but it hasn't been tested or rated in the new, tougher small overlap frontal category. The Audi Q7 stands out even among all the high-price luxury crossovers, thanks to its array of technology features that serve to take care of passengers as well as the driver. Power windows, locks and mirrors; keyless entry; automatic climate control; cruise control; and 18-inch wheels are all part of the standard-equipment set. A panoramic sunroof and power tilt/telescoping steering wheel get added in moving up to the S-line or Premium Plus. You won't mistake the Q7 for anything but a luxury vehicle in its base trim; but if you're willing to pay a little more you can give this SUV a more high-end feature set that includes things like Bang & Olufsen audio system--complete with tweeters rising magically from the dash on startup. Cold-climate users can opt for heated front and second-row seats and a heated steering wheel. 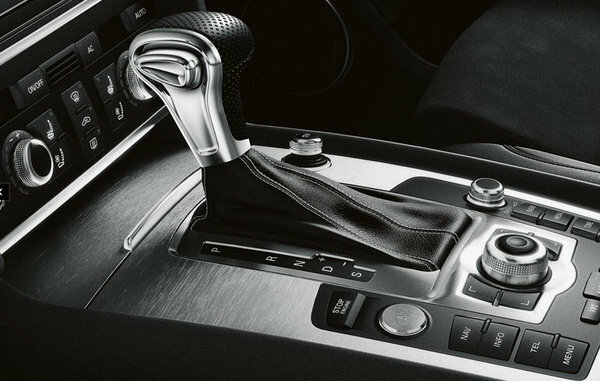 For those with kids that can't ever agree on where to set the thermostat, the Q7 even offers four-zone climate control. Also worth the premium is Audi's internet-connected MMI interface with navigation. With it, there's wifi hotspot capability, Google Earth maps, and a well-integrated point-of-interest interface. The Q7 with these options upgrades to rolling tech center, the on-the-go web access enabling fly-over views for the navigation system, wireless gaming for the kids, and more. We've found the MMI system a bit tricky to learn; it's still not always intuitive, and we wish there were a few more redundant buttons for some things (phone control, for instance) but it's a big improvement over the MMI of a few years ago. While there are three different powertrains on offer in the 2014 Audi Q7, we maintain that one stands well above the others—especially if you value fuel economy numbers. No large crossover is going to win a green-car gold medal, but among the three choices, the dieselis the clear winner. We have nothing against the base 3.0-liter supercharged V-6, making 280 horsepower, and the S line's more sharply-tuned 333-hp version. It's just that the 3.0-liter turbocharged diesel V-6, which was recently reengineered this year, is just about as much fun. Even if you go by the official 0-60 mph numbers (7.7 seconds to 60 mph), it's just as fast as the base engine, while being considerably skimpier on fuel during highway trips. And compared to either of the gasoline engines, it makes towing look effortless. Those gasoline versions rate 16 mpg city and 22 mpg highway, while the TDI diesel scores a more impressive 19 mpg city and 28 mpg highway.